This sleek DS-2 bracelet watch by Swiss watchmaker Certina is crafted in stainless steel. 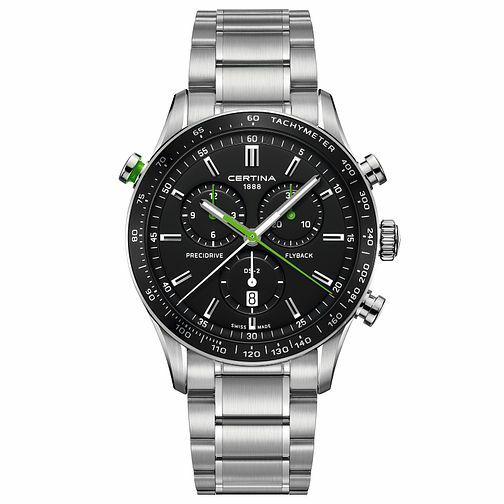 The black chronograph dial features quartz movement, silver tone hour markers & hands with vibrant green accents for a smart pop of colour. This is a handsome watch for the modern man. As one of the longest-established watch brands in Switzerland, Certina continues to deliver sophisticated yet sports inspired luxury.